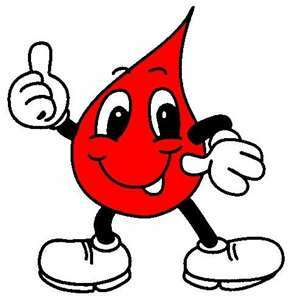 “Give blood today and save some lives.” Doesn’t that sound great? I’m sure you’ve seen some form of that saying around town or in a bulletin floating around work. It seems like there’s always a shortage of blood and never enough donors. My donation days started way back in college with the Red Cross. Once a quarter, in exchange for giving blood, I would receive a coupon for a free Chipotle burrito. That’s all I needed to hear, giving blood became a no-brainer seeing as how I could turn my free burrito coupon into a mega-monster(and I guess I was saving someone’s life too) while I waited in-between classes. Since almost all blood banks these days are non-profit, most people tend to assume that the blood they donate will somehow magically transfuse into the body of a needy patient. I, on the other hand, am way too cynical for that. Any time the healthcare industry is involved, I expect the worst. I know there are costs associated with the cleaning and testing of new blood but I don’t think a needy patient should have to pay one cent more than what the hospital pays a blood bank for a pint of blood. I don’t think it’s asking too much for blood banks to clearly list all of their recurring costs, employee salaries, etc in order to ensure that no profit is really being made. I know the employees still have to be paid, but would you be ok with donating blood if you knew the CEO of your local blood bank was making half a million dollars? I sure as hell wouldn’t(and look that has happened!). I know for a fact that one of the local blood banks here charges $150 per 200 mL of blood. This blood is being processed and sold to research centers, hospitals and probably whoever else has the means to pay for it. The average person donates around 1 pint of blood in each sitting so that’s over $300 they’re getting from my blood. I know there’s a lot of work involved in testing, transporting, etc of blood but doesn’t $300 seem a little ridiculous? It’s hard to nail down the exact price of a pint of blood but from information available online but I would assume it’s in the $200-$400 range. Obviously blood is a valuable resource, so why shouldn’t I get paid top dollar for donating my blood? In what other aspect of life, do you give something away with no regard to who is on the receiving end. I’m all for donating to people that can’t afford expensive blood, but for the rich guy who’s never set foot inside a donation center, you cannot have my blood for free. In China, you can get paid $12 for donating blood, but in America the FDA actually prohibits gifts to donors in excess of $25. While Chinese blood practices are hardly the exemplary model, I think they’re on the right track here by creating an incentive to donate blood. I would prefer a system in which everyone that donates blood was compensated. But what about the poor people who can’t afford to pay extra for your blood? Well since this is America and your life threatening wounds will be treated at a hospital even if you don’t have insurance, there’s nothing to worry about. If I start getting paid for my blood, the extra cost would be passed onto insurance companies who would in turn raise premiums. All those people who don’t donate blood would pay more and although my premiums would go up too, that would be offset by the money I received from donating blood. I don’t know for sure that I’ll never donate again but for now my donations are definitely on hold. Maybe I’m starting to think like a true capitalist since I don’t think everyone should be making money off this deal except for me. But it would be nice if there was a little more transparency in the whole process. If I’m going to be giving away such a valuable resource I want to be sure that the right people are getting it. Readers, am I being too cynical? Does this sound like a big conspiracy theory or do you think that the system is pretty flawed? If so, isn’t the simple situation just to stop donating blood? Know of anywhere that will let you store your own blood for less than $300 a pint? It would be cool if you could bring your own blood with you to the hospital, but until then, if anyone needs any blood just let me know and I’ll make sure to undercut the hospital’s price. As someone who can’t donate blood, I’m very appreciative of people that do on a regular basis, but I also don’t think it’d be too much to ask for transparent accounting or a distribution of profits to the “donators” each year. There are all sorts of weird double standards with accounting and body parts, though. When I donated my hair, I thought I’d be able to take a charitable tax deduction on its value. But I can’t. However, if I had sold the hair (est street value $1K), I would have been expected to pay taxes on the income from the sale. As for the double standards though, I totally know what you mean, these people expect us to give and just assume that everything is kosher on their side. I think I may have convinced a few other readers to join me in my stance against donating blood. But if a free Chipotle coupon comes up again, I’ll probably be right back in that chair. The only time I ever donated (platelets) was when I knew the person that needed it. I agree about transparency with non-profits – my friend’s starting salary for one was $80k. While she’s amazing at her job, it seemed a bit ironic given the disadvantaged community the org was trying to serve. It definitely makes me think twice about donating anything in general. Haha wow 80k starting salary at a non-profit, sign me up! Yea check out my article on the KONY situation. I’ve been kind of lazy when it comes to volunteering lately, just been donating money. But I think it’s always better to donate your time, that way you know exactly how your donation is being used. Hmm sorry what do you mean? The price of blood isn’t capped, blood banks can take your blood that they get for free, pay their CEO 2 million dollars and charge the hospitals whatever they want to. Hospitals can then take that blood, pay their CEO 5 million dollars and charge you $500 for blood that was originally free(both organizations are under the guise of non-profit of course). Kind of goes with the TIME article by Stephen Brill last week…good read. Oh whoops, I see what you mean, wow it must be Monday haha. Yea that is BS haha, but those are the prices you must pay to live in the good ol’ USA right? Check out China’s policy and tell me what you think about that one 🙂 They had some major contamination/AIDS problems in the 90’s but I think it’s better now.